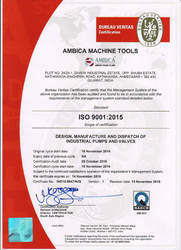 Established in the year 2006, we, “Ambica Machine Tools”, are an ISO 9001:2008 certified organization that manufactures and exporter vast array of Industrial Pumps, Motors and Gas Cylinder Accessories. 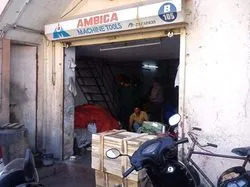 The products offered by us are manufactured employing advanced technology and high tech machines so that these are in tandem with international quality standards. Our range scores high on longer functional life, corrosion & abrasion resistance, high tensile strength, fine finish and excellent performance. Moreover, we offer these products in varied specifications at nominal rates in order to cater to the diverse requirements of clients. We have hired highly experienced professionals who help us in offering an impeccable array of products to clients. These professionals understand the variegated requirements of the patrons and fulfill them accordingly. Post-production, our quality controllers stringently inspect these products on certain parameters so as to ensure their defect-free nature. Furthermore, our logistics personnel make sure that that the consignments are timely delivered at clients’ destination using easy modes of shipment. Under the notable tutelage and profound guidance of our mentor, ‘Mr. Avinash Patel’, we have reached the towering height of success. His in-depth knowledge, brilliant managerial skills, and vast industry experience enabled us to consolidate our position in the market. A diligent team of professionals is employed by us, which greatly supports us in all the activities of trade. The dedicated, sincere and hardworking professionals working with us are masters of their respective fields of specialization. Our experts put in their rich industry experience and immense domain expertise to successfully accomplish the assigned tasks. 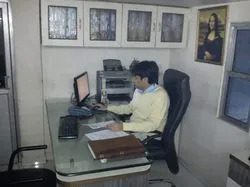 Furthermore, these experts work in close coordination with each other to attain the goals of the organization in an efficient and effective manner. Besides, we organize training sessions and workshops at regular intervals to enhance the skills and knowledge of our team members. We have established a state-of-the-art infrastructure facility at our premises for streamlined execution of the business process. 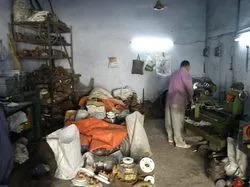 Spread over a vast area, this facility is instigated with advanced technology and high tech machines that enable us to reduce the production time and make our range cost-effective. 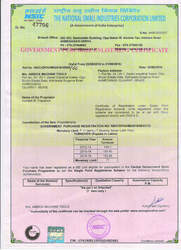 Moreover, a highly experienced and trained team of professionals is hired by us to control and manage this facility. We have carved a remarkable position in the industry due to our superior quality products. 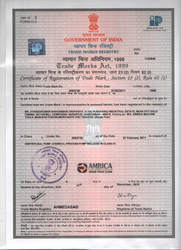 Our ethical business policies and transparent dealings have enabled us to prove our mettle in the industry. 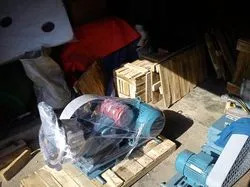 We have been identified as a renowned name engaged in offering superior quality Hydro Testing Pump, Triplex Plunger Pumps, Hydraulic Testing Pump, Pressure Testing Pump and Sewage Pump. The products & services offered by us help in meeting the exact requirements of our customers.